Mastering the dark arts of the full english is a real skill and is a good indication of a chef’s ability. There are a number of complex processes at play, ranging from crisping up a rasher of bacon without over cooking it, to caramelising your mushrooms without drying them out. Scrambling eggs requires perhaps the greatest level of precision. The best scrambled eggs are generally considered to be both fluffy and creamy. In scientific terms this means heating the eggs up to just above coagulation point and adding generous amounts of fat. 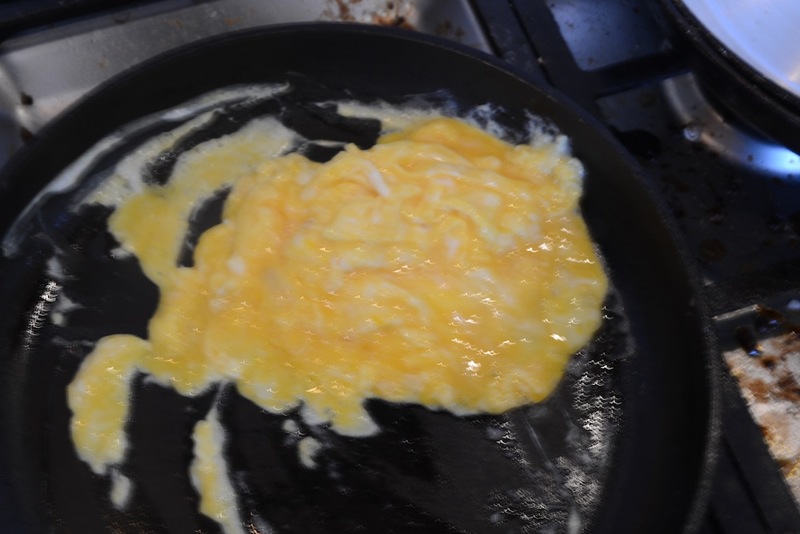 Beaten eggs begin to coagulate at 73 degrees celcius and are considered to be overcooked at about 79 degrees celcius. So there is a pretty small window if you’re looking to achieve the perfect scrambled egg. This is made harder by the fact that eggs are normally cooked in a frying pan where the temperature is significantly higher than boiling point. Restaurant chefs would traditionally cook eggs over a bain marie, vigilantly stirring for around 20 minutes, until the required result had been achieved. Today some restaurants cook scrambled eggs in a water bath – they vacuum pack the eggs in a sealed pouch and leave the eggs in a thermostatically controlled bath of water at about 75 degrees until the eggs just begin to coagulate. The advantage here is that the eggs can be left at this temperature in the knowledge that they will not overcook. The disadvantage is that an external vacuum chamber and waterbath cost about two grand. Whisk the eggs in a bowl until the whites and yolks are combined. Season with the salt and pepper. You can add more seasoning at the end of cooking. 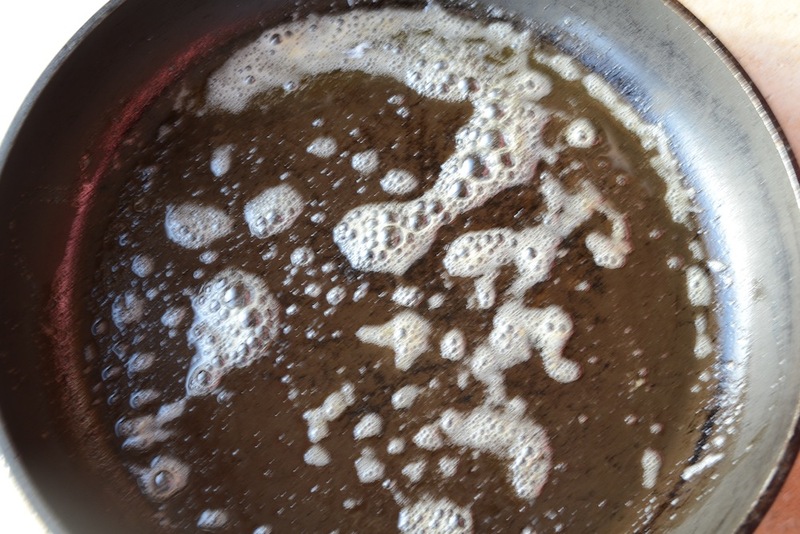 Add the butter to the pan and gently heat until it begins to foam. The foaming indicates that the water in the eggs has come to the boil so you do not want the pan any hotter. Add the eggs immediately. Leave the eggs until you can see that the bottom layer of the mixture is beginning to set. 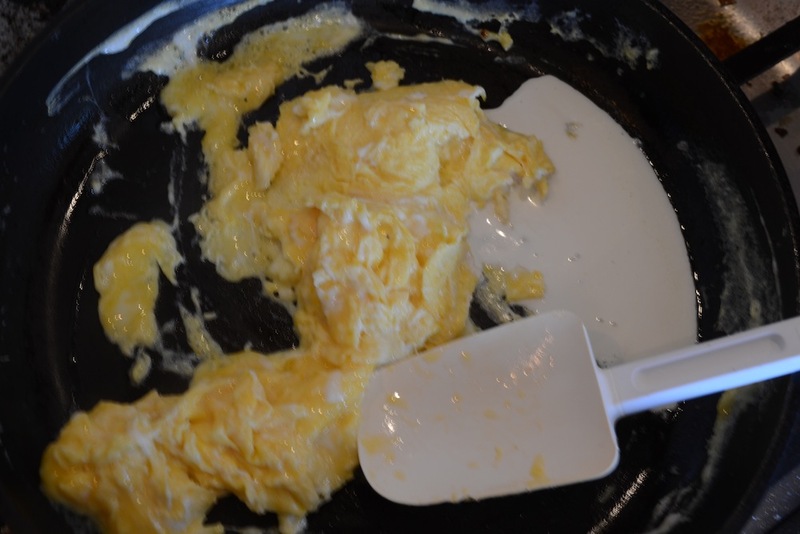 Move the eggs around with a spatula. If you like large chunks of egg it is best to only move the eggs round a couple of times. If you like your eggs well scrambled then keep moving them around. Just before the all the eggs have coagulated, add the cream and mix together. The cream not only adds extra fat but it stops the eggs from overcooking because the cream is cold. You are essentially stopping the eggs from going over about 77 degrees celcius. 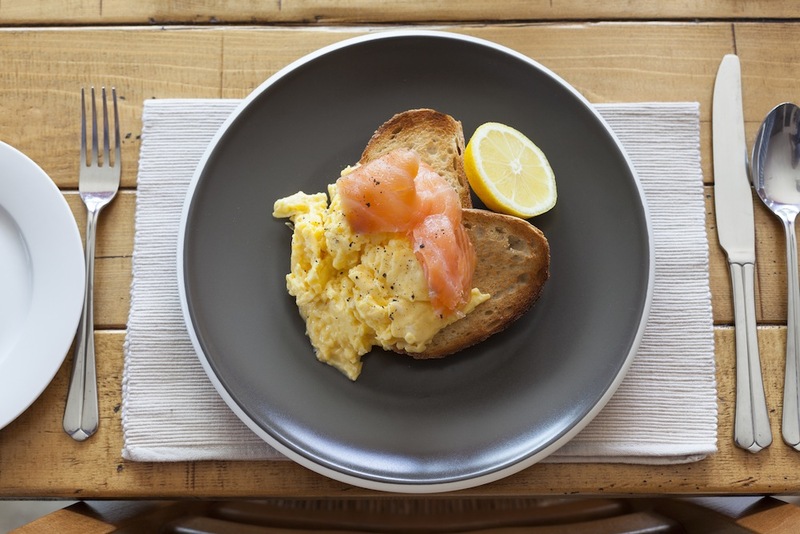 At The Tasty Ski Company we serve our scrambled eggs with toasted pain de campagne and smoked salmon. Yummers!